This production opened on April 27, 2012 and closed on May 6, 2012. 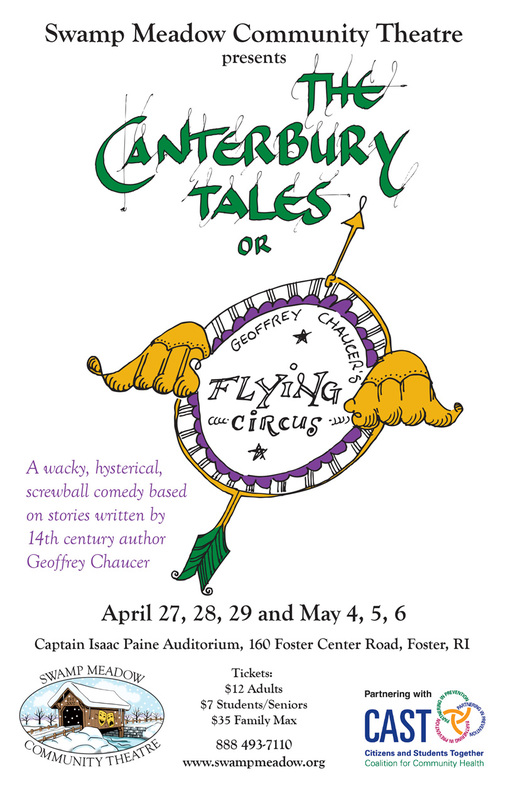 SMCT’s play for Spring 2012 was the Canterbury Tales or Geoffrey Chaucer’s Flying Circus by Burton Bumgarner. The play was a modernized, hilarious, wacked-out twist on The Canterbury Tales, featuring characters such as Alex of Trebek, King Leno, the Wrong Pilgrims, along with a list of many more zany characters. Performances took place on April 27, 28, May 4, 5 at 7 pm and April 29, May 6, at 2pm.